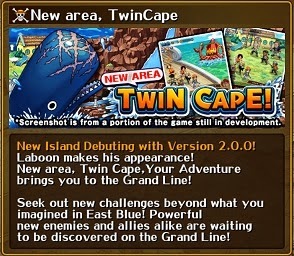 Celebrate the new Version 2.0.0 of One Piece Treasure Cruise coming soon ! 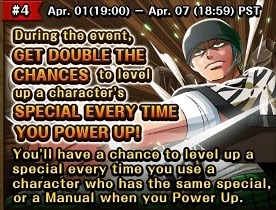 evolve Zoro to the next Level with free materials. - Added Pirate Penguins to Wednesdays Penguin Isle. All you have been waiting for ! Don't forget to save your Account before any Update! 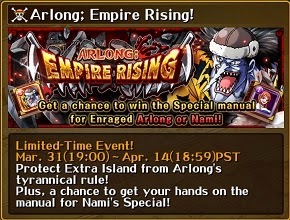 Your chance to feed all your doubled Units and Skillbooks on this event. As always. These times are in PST. Lets use all the Friendpoints and summon a maximum of 50 Units ! rare stuff is the same as a single recruit.